I am kicking off an entire week of summer mason jar crafts with some blog friends today. 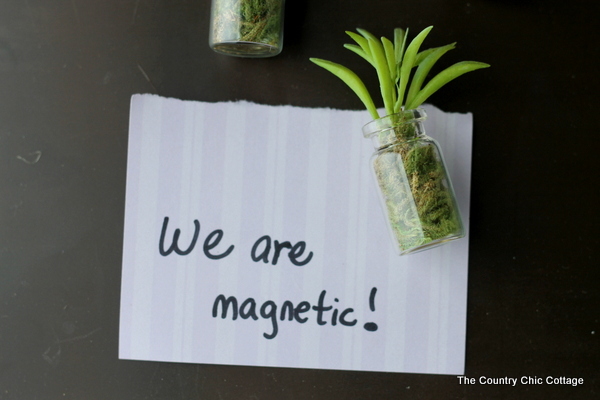 I am starting with these super quick and easy succulent jar magnets. You can scroll to the bottom of this post to see what the other blogs came up with today. First you can learn how to make these fun magnets in just minutes. Watch the super short video below to see the steps in less than 10 seconds. Yes you can see everything you need to know about this craft that quickly. It really is super easy. Remove cork from vial and stuff with moss (use a pencil to stuff if needed). Remove succulent from stem and hot glue into place. Add magnet to the back with hot glue. 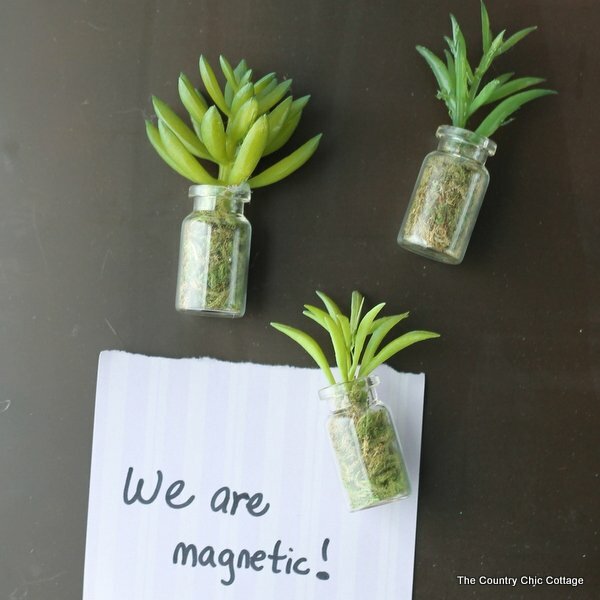 These super simple succulent jar magnets are perfect for your refrigerator and more. Make them in minutes and display them in your home. Now for my partners for this series. See what they have in store for summer jar week below! I love these, Angie! Can’t wait to see all the mason jar awesomeness! OMG so adorable! 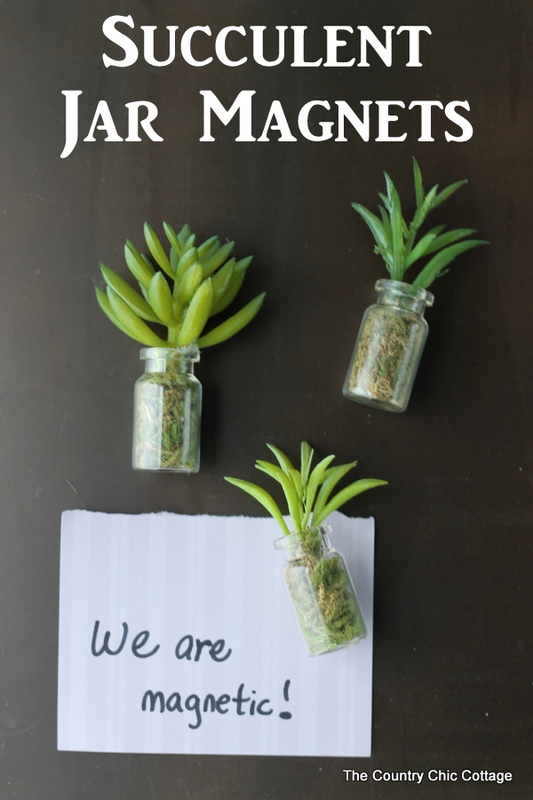 I love little tiny things, succulents, and as you know– Mason Jars! This is amazing! I am pinning. I am wondering if the REAL succulent would live like this?? ?….some moss, some soil, they don’t much watering at all! Hmmm….not sure! You might try it! Let us know if you do!